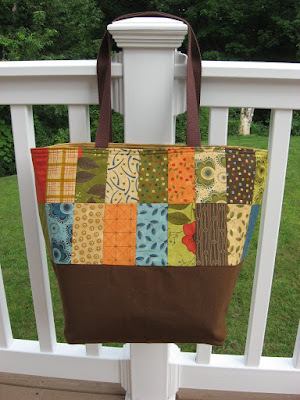 Hooked on Needles: More Summertime Sewing ~ Tote Bags! 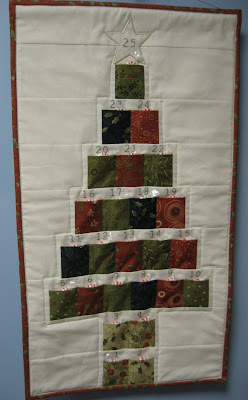 One more day before we return to the school schedule here, and I am just now really getting into my sewing groove! I've been thoroughly enjoying my time in the sewing room this summer making whatever comes to mind as I go through my fabric stash. Today I completed another tote bag that is perfect for the upcoming fall season. 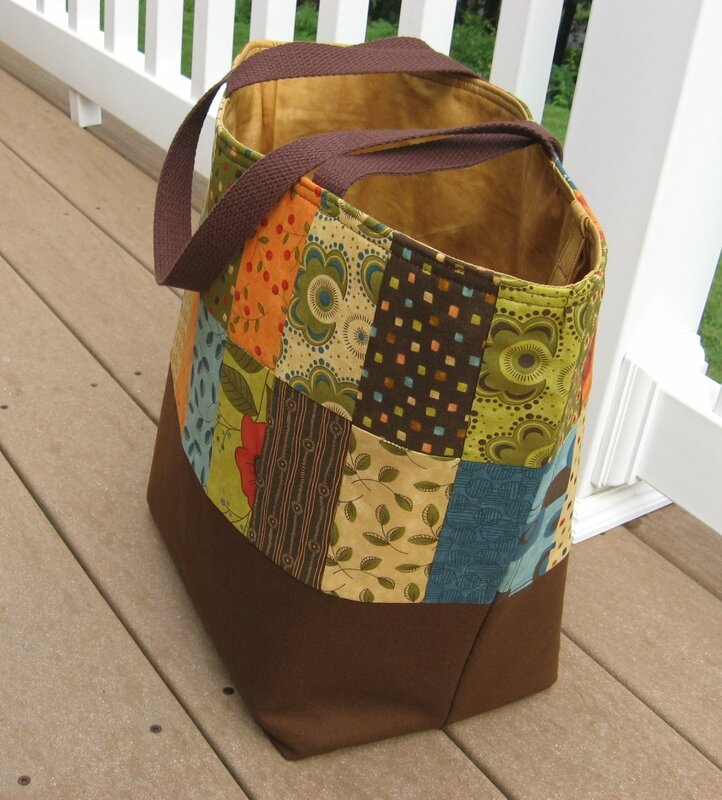 If you love fall, and all it brings with it, you'll love this bag! 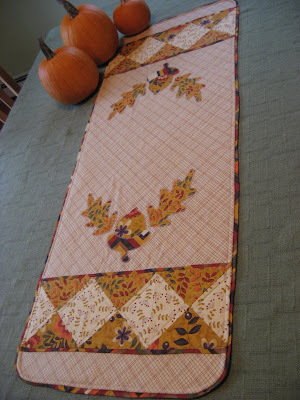 The fabric I used was designed by Sandy Gervais and it is called Tranquility. If you've been a long-time reader of Hooked On Needles, you might remember this same fabric line from a quilt I made back in 2011 for my sister. 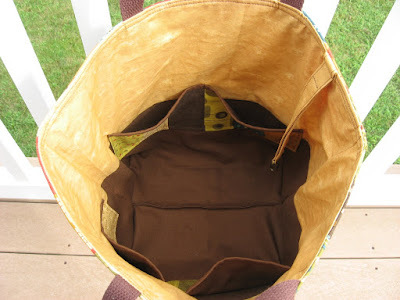 The base of the bag on the outside and on the inside is leftover bull denim from seat sacks I made for the classrooms at the school where my children attend. It is really great fabric to work with and so sturdy! The fabric on the top of the inside lining is leftover yardage from the coordinating solid I used for my sister's quilt. I also made a strap for a swivel hook out of that same fabric to keep keys or other things within easy reach. This bag is interfaced with Peltex which is very stiff and allows the bag to stay upright and hold its shape all by itself. I also boxed the bottom of the bag so that it is very deep at the base. I like generously sized bag bottoms! This Tranquility Tote Bag is in my Etsy shop available for purchase while it lasts. This is a tote bag I finished a few days ago and listed for sale in my shop. I was all ready to write a post on it all by itself, but it was purchased before I had a chance to write about it! So anyway, this one was made using canvas fabric from the Pure fabric line designed by Sweetwater and lined with the quilting cotton of the same line. I love the blue and brown color combination, and there is just something about fabric with words that I find quite appealing. This is just about the end of my summer creations since I start back to school in a little over a week for my third semester of nursing school. I have another crocheted project to share and then I might have to sign off for a while. But all my video and picture tutorials are available and anything else here at Hooked On Needles that you find helpful will remain up and running for you to use and share with friends. Enjoy what remains of your summer! I sure plan to! 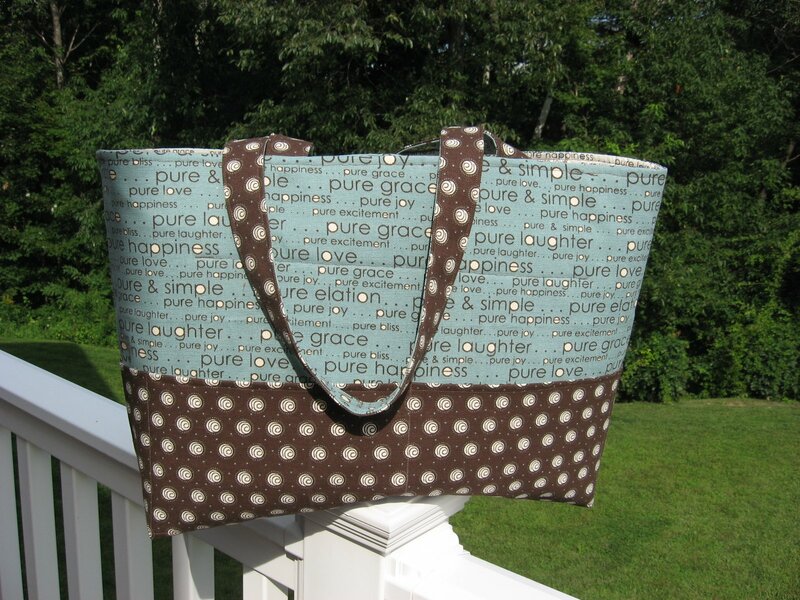 Lovely bags Mary Grace! I hope you have a great new school year - I know you will make a wonderful nurse. I love both of your bags, Mary Grace. Sounds like you are doing well with your Etsy shop. Congrats! I look forward to seeing your crochet project and anything else you will have time to pop in and share. Good luck with the new semester.